Friends, go see As One at Skylark Opera. Now at North Garden Theater (St. Paul! Represent!) only through Sunday, March 25. This new opera, with music and concept by Laura Kaminsky, libretto by Mark Campbell (The Shining, and much more) and Kimberly Reed, and film by Kimberly Reed, has only two characters: Hannah before (Luke Williams) and Hannah after (Bergen Baker). I can't possibly evoke the experience of sitting in the intimate North Garden Theater, and hearing the lovely music (music directed by Jeffrey Stirling, featuring Leslie Shank and David Leung on violin, Matt Williams on viola, and Laura Sewell on cello) and the utterly beautiful voices of Luke Williams and Bergen Baker as they tell the story of Hannah, who is undergoing a a journey to discover herself. The story is told on a stark, simple stage, with only chairs and minimal props, and Kimberly Reed's evocative film in the background, but every moment we see of Hannah's journey feels fully realized. As the two singers portray one character, the music and Robert Neu's direction illustrate the disconnect Hannah feels when she can only show part of herself to the world. When she struggles to keep her femininity hidden, we see it as the fight she has with herself. Spoiler warning: There is a scene of violence against Hannah, in which her terror is conveyed by Baker's anguished singing. At the same time, Williams is walking the perimeter of the stage, reading the names of transgender people who have been murdered. It is unbelievably well done, and wildly heart-rending. Skylark Opera has been one of our most beloved local theaters for years. They have always done beautiful work, whether it was traditional musicals, operettas, or light operas. But what they are doing now is SO amazing. 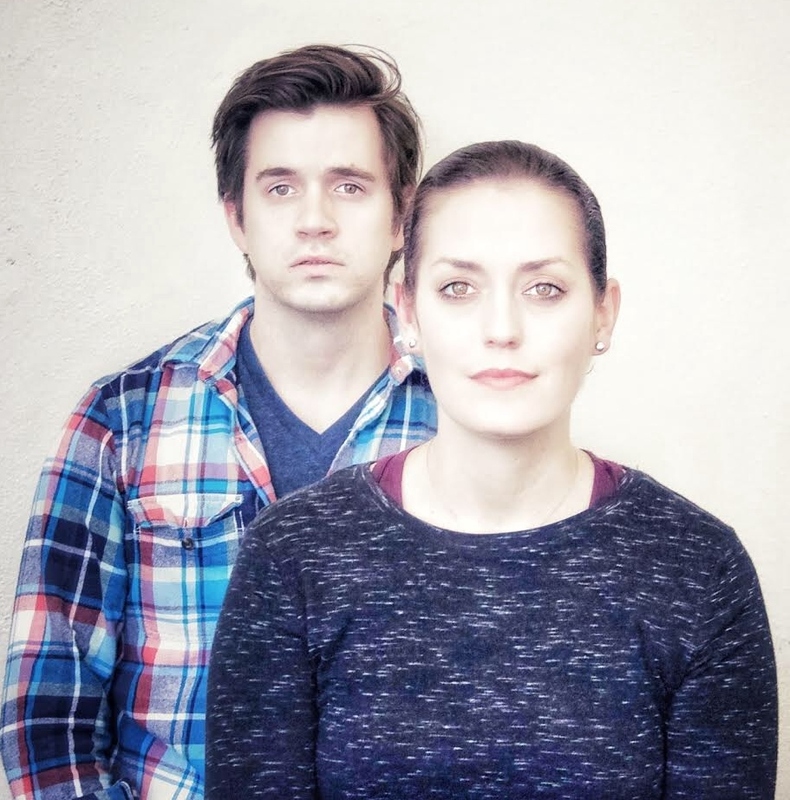 Their site-specific work (last year's Don Giovanni at the Woman's Club) is gorgeously done, and I'm so excited for them to be presenting this important and beautiful new work. Did I mention the music is beautiful? I'm not always a fan of new opera--too often it is practically atonal and includes far too much recitative. But As One has beautiful, melodic music, gorgeously sung by Williams and Baker. And their diction is AMAZING, which is not always the case with opera sung in English. Another issue we have with new opera is whether or not a show NEEDS to be an opera (or musical, for that matter.) For us, the point of musicals is that when the emotion is too overwhelming, that's when you have to sing. As One is a perfect example of this feeling. Seriously, go see it. It's absolutely marvelous. And each performance is followed by a post-show discussion with the artists and members of the community. At our performance, Rebecca Waggoner represented Quorum, Minnesota's LGBT and Allied Chamber of Commerce, and offered some insight into issues a person like Hannah will face in life and at work. 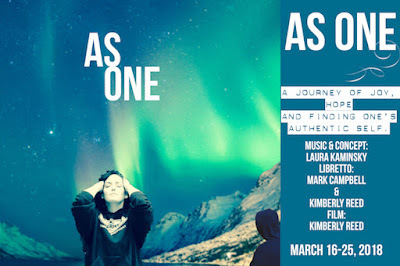 Skylark's production is the area premiere of As One, and the nineteenth production in the last two years, making it one of the most frequently produced operas in the country. It's hard to imagine that any other production could hold a candle to this one.